Gain access to live prices on the KLSE exchanges. To view prices, just click on the Prices option on the Menu bar. 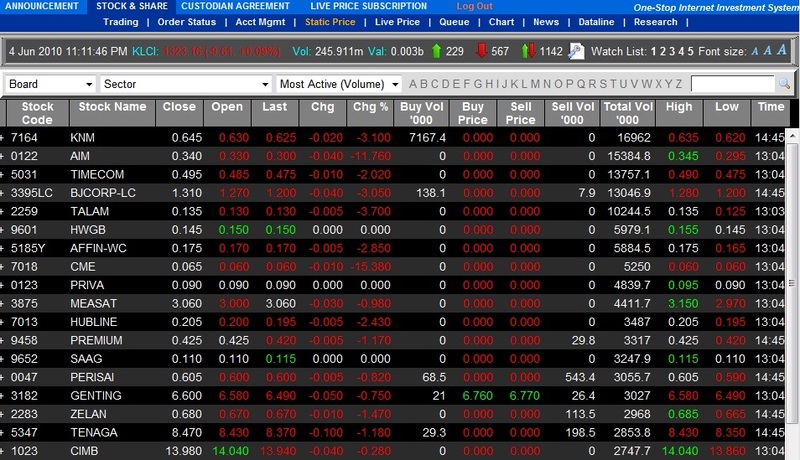 You can also choose to view Top 30's Volume, Gainers and Losers. You can place an order by clicking directly on the counter name itself.